Here are my thoughts on paragraph vs verse-by-verse layouts for preaching. 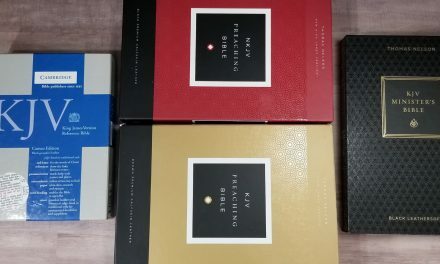 I also discuss text-only editions and compare several that are great for preaching. I also tried some different lighting and got some interesting results. 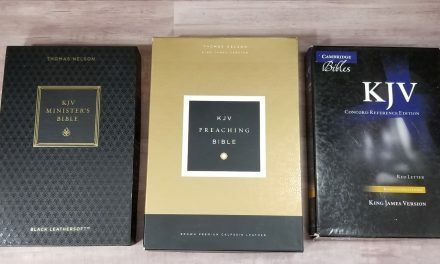 As far as a text Bible goes for reading and preaching, if you had a choice between the tbs Windsor calfskin and a Thomas Nelson ministers kjv calfskin , which would you choose? Hi Heath. I don’t think I can choose between them. Both have things I like about them. 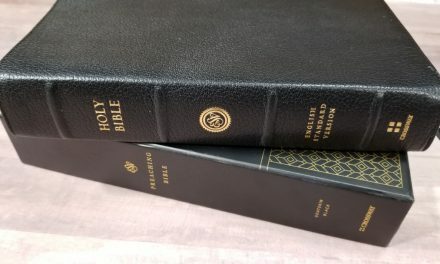 I prefer the darker print of the Minister’s Bible, but I like the color of the paper in the Windsor. I prefer the overall size of the Windsor. 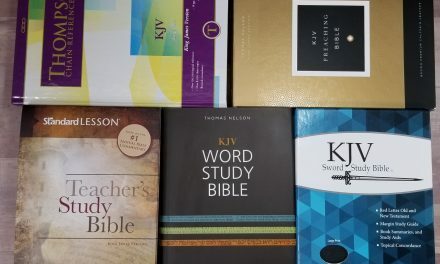 The rest just depends if I want section headings or not, red letter or not, minister’s helps, or a glossary, pronunciation guide, and reading plan. As far as construction, the Minister’s Bible wins because of the edge-lined liner. The Windsor’s paste-down liner is nice, but the edge-lining in the Minister’s Bible should last longer. Of course, it’s also more expensive. Because of the edge-lining, the Minister’s Bible is the one I’d take on trips.